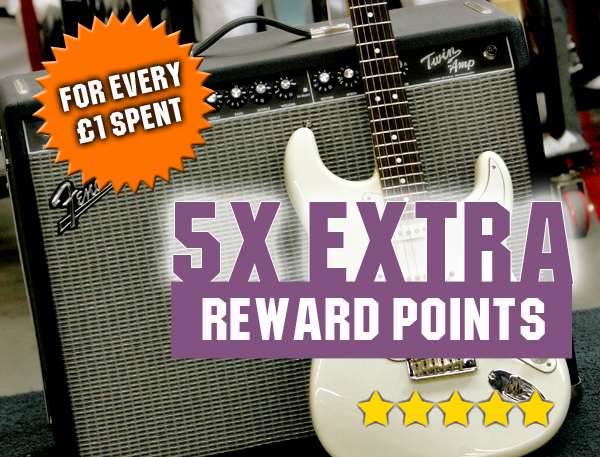 We love our customers so much that we’re giving you 5x extra rewards points for every £1 spent. Earn reward points everytime you shop at Guitarbitz Guitar Shop and we’ll convert them into money to be used on future purchases with us. Use the code NLJULY5 in your next purchase and start saving points now. 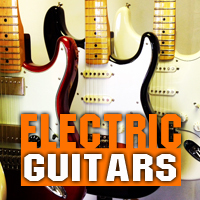 Whether you’re a beginner, intermediate or proffessional guitar player, we ‘ve got everything you need from Guitars and Strings, to Amps and Bags online and in store. Head to the park with a new acoustic guitar and play a set in the sunshine. 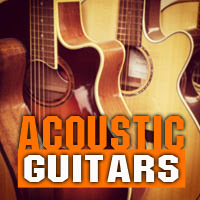 Shop our range of Takamine, Tanglewood, Washburn and Martin Guitars now. Krank up the volume and make some noise with a new electric guitar from Fender, Ibanez, PRS or Gretsch. 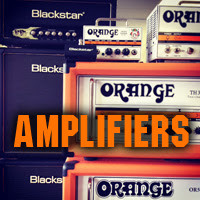 Shop from our huge range of Fender, Blackstar and Orange amplifiers, starting from just £89.